In the video, “Interpreting Labels,” I mentioned briefly that wines from much of Europe are labeled by their location rather than by varietal. This can present some challenges when trying to sell in the international marketplace, particularly to new buyers, so why do they do it? Essentially, the answer is that you can get even MORE information about a wine than just varietal through these regional labels. Not only do laws dictate what varietals can be grown in a region but some areas control things such as maximum vineyard yields, when grapes are harvested, how much juice can be extracted, oak aging, or even the shape of the bottle. Furthermore, each region is known for (and exists because of) “terroir”. Terroir (tare-wah) is a French word and while there is no direct translation into English, the concept is how the environment affects the grapes and thus the wine. The environment includes the soil, elevation, typography, microorganisms and climate—encompassing rainfall, wind velocity, humidity, tendency to fog, hours of sunshine, average temperatures and temperature swings, and so on. The combination of the environment is critical to the quality of the grapes and through this quality, it is possible to identify the origin of the wine. This sense of place is one of the key reasons why wine is so intriguing. The next step is familiarity with the grapes themselves. Factors such as the root growth, density of grapes in a cluster, thickness of grape skins, and vine vigor will dance with the environment. Some partnerships would be disastrous while others waltz like soulmates. Some grapes like Cabernet Sauvignon are highly adaptable and grow in nearly every wine region. Others, like Sangiovese are highly specialized in their local areas and are rarely seen outside of it. The grounding of all wine education is in the concept of terroir. Many of the laws that govern the vineyards and wineries do so largely to preserve the authenticity of the region’s terroir so it is learnable. Once you learn the regions and the typical profiles of the wines that come from that area, you can predict how a wine will taste. This makes it easier to choose a wine from a shelf or a restaurant’s list. Burgundy is perhaps the quintessential example of terrior. While most red Burgundy is Pinot Noir, and most white Burgundy is Chardonnay, there are infinitesimal differences from village to village, domain to domain, even plot to plot. A minerally Chablis (sha-blee) with its laser acidity is worlds away from a rich Puligny-Montrachet (ready for this one? Pu-lee-nee mohnt-ra-shay). If you saw a Chablis, a Montrachet, and a Sonoma Coast Chardonnay together on the shelf, the Montrachet is a sure bet to go with your Maine lobster! It takes some study to learn terroir and varietal typicity but remember: this is the fun part! Seek out wines that show a sense of place, take notes, do some comparison tastings, and in no time, you’ll be able to predict a wine’s profile by the label alone! This video features a few tips on what you can learn from a label. The store you purchase your wine from can greatly impact your wine experiences including the quality of what you are drinking and your exposure to new things. 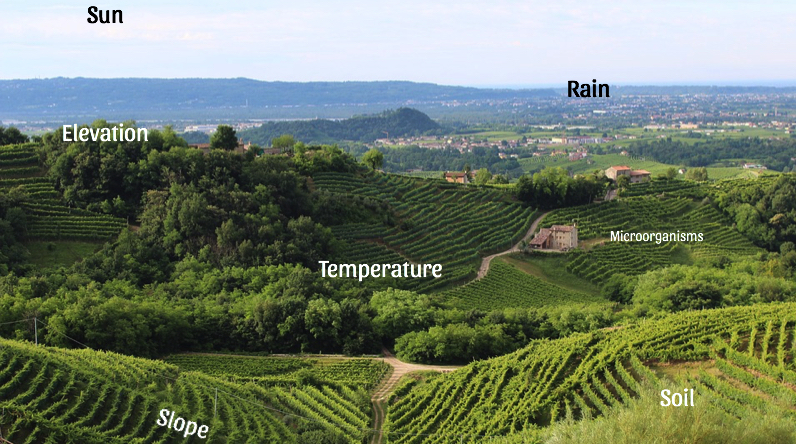 In part 2 of our How is Wine Priced series, we'll compare the winemaking of two vineyards. This video, which is just under 5 minutes, barely scratches the surface of this complex process where hundreds of decisions can impact the final product. We'll look more in-depth at each of these topics in the future so stay tuned! This 2 1/2 minute video looks at the 3-tier system and how it affects the price of wine. As a small caveat, each state is in charge of their own alcohol laws so the structure and functions of alcohol control will look different state to state. Also, I am not trying to pass judgment on or vilify any part of this system, just explain what their roles are. Stayed tuned for Part 2 which explains the elements that change cost in the production of wine! As the old adage goes, there is a difference between knowledge and wisdom. Memorizing wine facts but not understanding the whys, the cause and effects, the contexts, and so on is like a student memorizing dates from a history book but missing the larger historical lessons. Almost every student at some point asks, why study history? So, why study wine? Let’s look at three reasons. First, wine knowledge is within your grasp. At some point in their lives, most people have stared at rows of wine bottles on the shelf or at a long list of wines at a restaurant and wondered why wine has to be so confusing. I wish I could tell you its not—that there is a trick to understanding wine that makes you an instant master—but I can’t. The wine world is complicated. It is colossal. But it is also fun. Sure, drudging through the chemistry of the winemaking process, memorizing the 500+ recognized regions of Italy, or trying to pronounce some of the grapes (Agiorgitiko, anyone?) can be a bear…but it all offers an excuse to drink wine! The key to having fun with wine is to not take it so seriously. There is no “perfect” wine or pairing so don’t worry about getting it “right”. After a few building blocks are laid in your knowledge base, the mystique around wine is less about snobbery and more about intricacy, inviting you to know more. The more you learn about wine the more you will enjoy it! This brings us to our second reason to study wine: the better you understand it, the more you enjoy it. You could just drink that Chardonnay but if you know that it comes from a vineyard that has been owned by the same family for seven generations, that each grape that went into it was hand selected, that the vintage was cool so the acidity levels peaked, that the wine was aged on lees for six months in neutral oak barrels, and that it pairs wonderfully with clam chowder, then you are likely to enjoy each sip that much more. Knowing a wine’s story is a key component in appreciating the beauty and art that is wine. Finally, wine is part of our culture and heritage. There is evidence that wine has been produced for about 9000 years, predating even our earliest civilizations. Historically, it was often more hygienic than drinking water! It is interwoven in our cuisine, holidays, celebrations, rituals, and religion. It is multidisciplinary and can touch on subjects of globalization, environmental change, economics, and social equality not to mention health and technology. Perhaps most importantly, wine has become a symbol of the best parts of what it means to be human: a congenial gathering of friends, a meal shared with family, or the quiet savoring of an everyday moment. No matter where you are at in your wine journey, there is always something new to discover in each bottle. I hope that you find your own reasons to pursue wine knowledge. 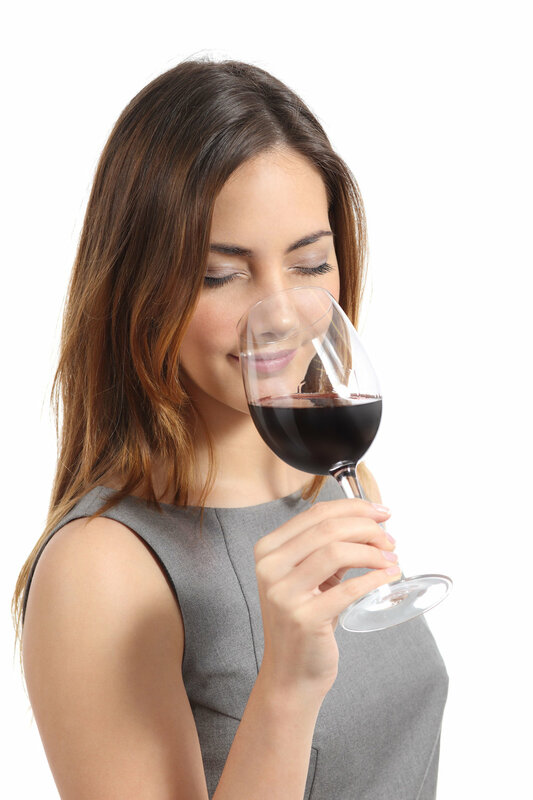 Knowing wine leads to enjoying wine, and enjoying wine is a way to enjoy life.